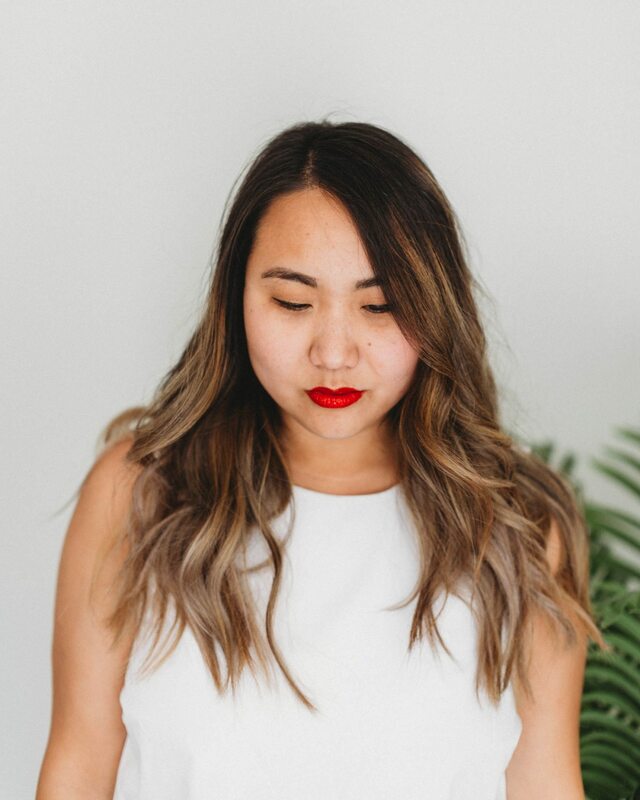 I have spent the better part of my adult life in search of The Perfect Red Lipstick. My fascination began in high school, when red lipstick was a requirement for theater and show choir. Something about the combination of the color and memories of wearing it onstage instills confidence when I wear it. 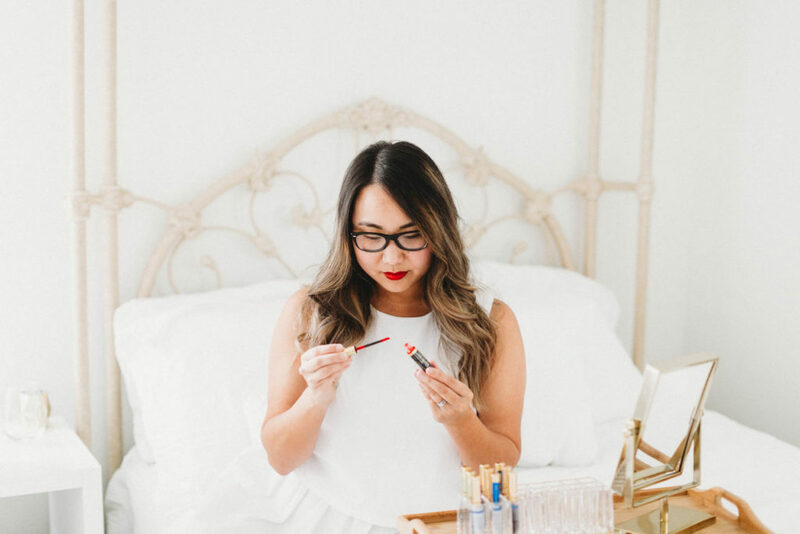 I love the classic red lip so much that I got married in it. Any branding geeks out there may have noticed that I even use red as an accent color in the (otherwise monochromatic) design of my blog. Red lipstick is tricky. Not only is it difficult to apply (and keep from bleeding and feathering), there are so many different shades that have varying undertones. 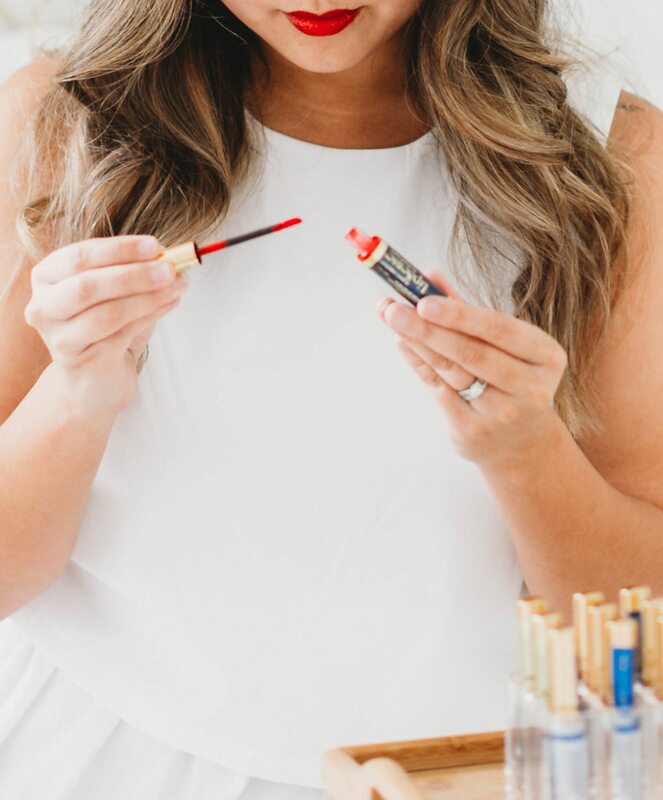 My mission has always been to find a true red in a long-lasting formula that could be my signature red lip. 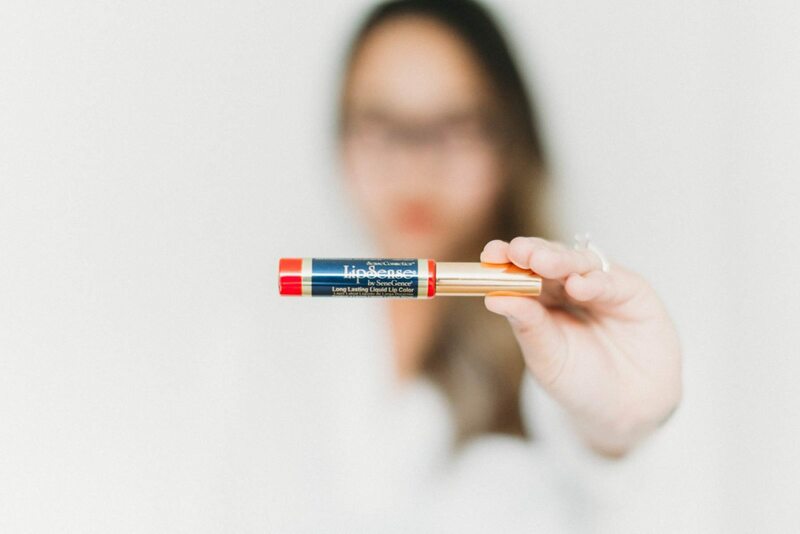 I found exactly what I had been searching for in LipSense’s Blu Red liquid lipstick. I’ve finally found a beautiful, vivid red (with blue undertones, which help make teeth appear whiter) that doesn’t budge! I jokingly chased Holden around the house wearing a fresh application of Blu Red and planted a smooch on his cheek. Both of us were shocked to see that none of the color had transferred to his skin. Needless to say, when I told him that I wanted to sign up as a distributor– he was totally on board. I wore this shade to go shopping the other day, and two Sephora employees complimented me on it! I’ll stop rambling, and let the pictures speak for themselves. 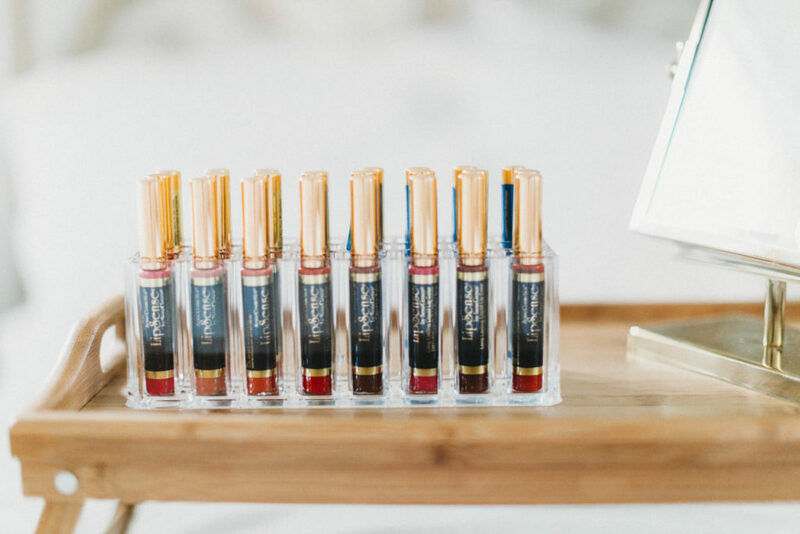 If you’re interested in placing a LipSense order, please feel free to contact me for more information. I also have Glossy Gloss ($20), Matte Gloss ($20), and Ooops! Remover ($10) available. 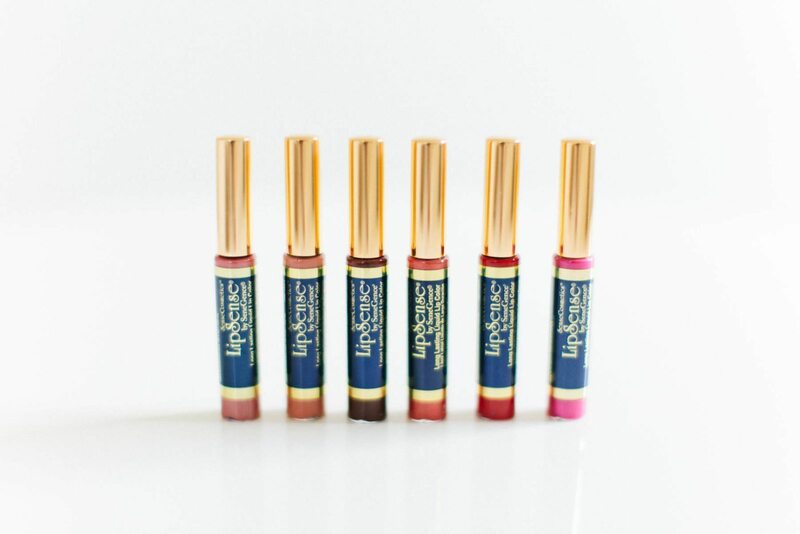 Any other LipSense fans out there? Would love to hear what your favorite colors are so I can stock up with my next order! You are STUNNING! Love a red lip on you! !